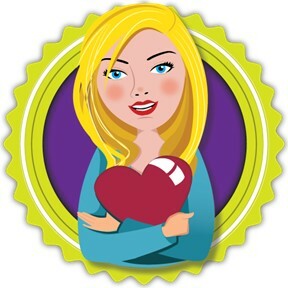 Today's freebie comes from the amazing Teachers Unleashed. 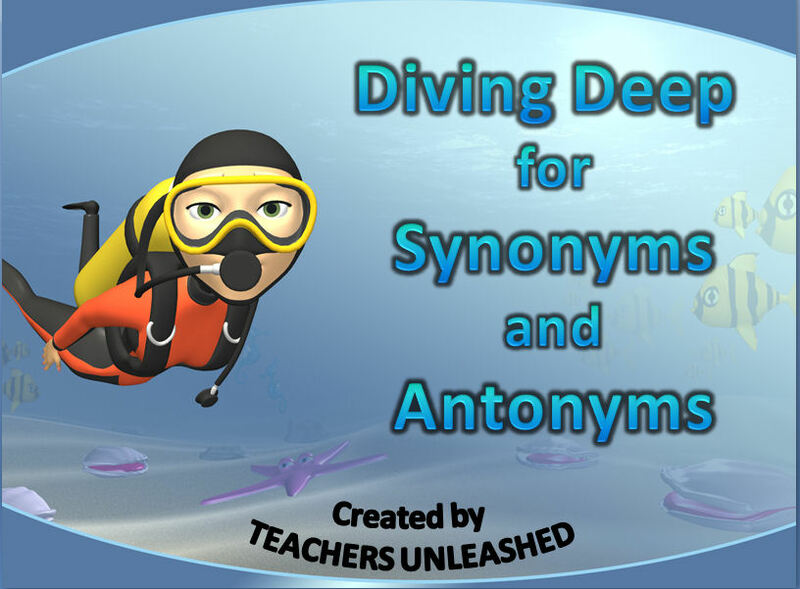 Downloaded over 78,000 times, Diving Deep for Synonyms and Antonyms is a twenty-one slide PowerPoint. 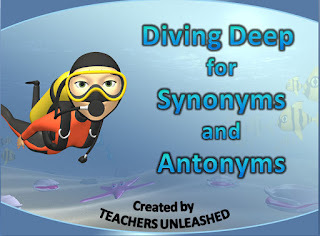 In their own words, "The presentation gives a description of what synonyms and antonyms are, and gives several practice slides for students to create T-charts, and interact with the PowerPoint using whiteboards or paper."